You may have heard others mention the Stripe payment gateway before and how it can be used to accept credit card payments online. While Stripe is commonly used among developers, the every day business owner will tend to hear more about their leading competitor PayPal. 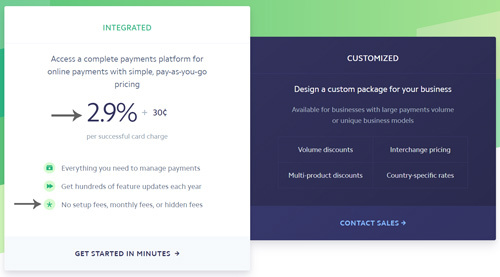 While PayPal, another platform to accept payments online is a globally recognized icon, Stripe indeed offers competitive rates and some nifty features. In this article our prime focus will be on the fees associated with using Stripe and why this platform may or may not be be right for your website. If you are stilling tossing up whether or not Stripe is the right payment gateway for your eCommerce site, take a look at how PayPal compares here. 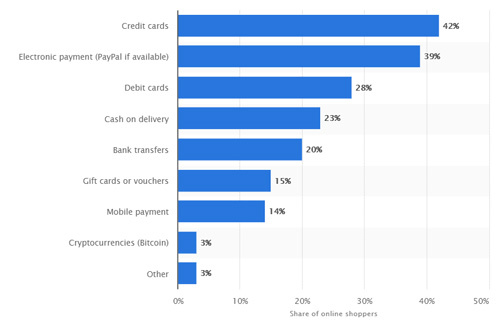 How Do the Majority of Customers Like to Pay Online? When choosing the right payment gateway for your website it is important to consider how the majority of your customers will prefer to pay for goods and services on your website. You may find the up and coming generations will much prefer to checkout with PayPal and using this is second knowledge. If you have an older customer base, credit card checkouts may be a preferred approach. Statista completed a helpful comparison during 2017 that displayed credit cards as being the preferred payment method online. While using PayPal on your site does give customers the option to pay with card, they may bypass this option by simply not seeing it. Offering Stripe ensures you are presenting the customer with the most popular payment method first and foremost. This 2017 study is visually demonstrated below. If you have an online-only business where you intend on selling to customers around the globe who wish to pay using their credit card, look no further than Stripe. If you have some developer knowledge, through the use of Stripe API’s, the eCommerce possibilities are endless. The best part about Stripe is that it is inexpensive compared to other payment gateways, especially for those companies who see almost one hundred thousand of sales a month. While developers with a world of knowledge can come up with their own solutions for integration with Stripe, starting with a base plugin to accept Stripe card payments makes the process as simple as can be. Partnering up with an eCommerce plugin that has integrated with Stripe, such as our very own Stripe Payments Plugin, allows you to be accepting Stripe transactions from real life customers in no more than 30 minutes. The best part about the base plugin is that it is entirely free. This means that you’ll only need to pay Stripe transaction fees (mentioned below) and for any addons you wish to purchase. So you may be wondering by now “What is the Catch?” and “What Fees are Associated With Using Stripe?”. For a basic transaction, Stripe matches most of the leading competitors by charging 2.9% + 30 c per successful transaction for those holding an account in the United States. The way that Stripe differs from other payment gateways is the bulk discounts they offer for companies that are making over 80, 000 USD sales a month. 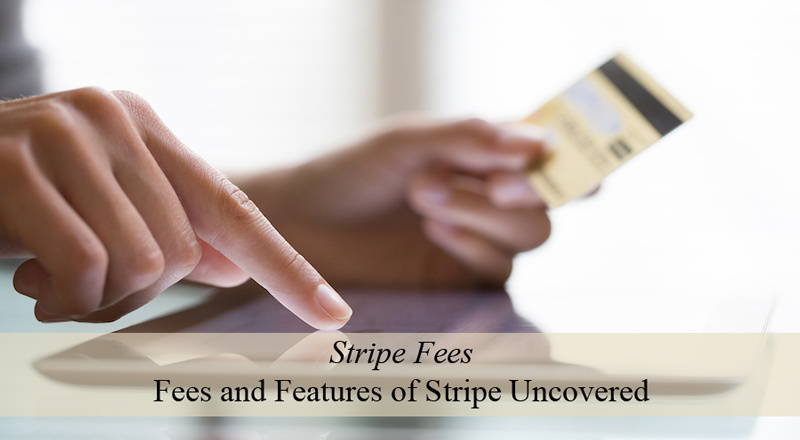 Furthermore, Stripe does not charge any hidden monthly fees or set a monthly minimum. This ensures both small and large companies can use the platform. If you find that a charge back has occurred on your site, a $15.00 cost occurs although this amount is refundable if the issuing bank rules in your favor. This charge ensures Stripe is not out of pocket. Non-for-Profit companies can also receive reduced transaction fees by contacting Stripe directly to discuss. If Stripe deems that your company is non-for-profit, they will not charge you any fees for the first $15, 000 you make. This can save a NFP company almost $500.00 in fees. In terms of international card fees, you can expect to add 1% to the base transaction fee if your customer pays with an international card. If their currency also differs from the currency set within your account, you can expect to add another 1% to the transaction fee. This means you can expect to be charged up to 4.9% + 30c for an international transaction. Further details on the fees and charges associated with Stripe can be viewed on their Pricing Page. While most of the visitors reading this blog post will be from the United States where Stripe charges 2.9% + 30c per transactions, those wondering about charges for other countries can see some results below. The fees listed below generally refer to domestic card charges for those countries. The most note-able feature of Stripe is the fact that your customer’s data is never stored on your server. Instead the customers information is stored on Stripe’s server meaning that they are directly responsible for sensitive payment information. This means that your site is automatically PCI compliant, have increased website security and gives your customers further trust in you as a merchant. Recently Stripe introduced the much anticipated 24/7 phone support. This was a game changer for an online payment gateway and drew many new users to the Stripe platform. While their phone support is only available in English currently, you can receive email support in 6 different languages. Furthermore, Stripe has lots of free documentation for both web newbies and experienced developers. The API feature of Stripe is not only well documented but also extremely easy to use for developers. Stripe’s comprehensive testing tools and developer dashboard are just two of the API related features. Stripe to date has over 450 different platforms and extensions. If you ever decide that Stripe is not the right payment gateway for your website they’ll even help you migrate! They will help you transfer any credit card data in both a secure and PCI compliant way. The dashboard of Stripe is user friendly for even those with no developer knowledge. From the dashboard you can create billing plans and respond to any disputes that have arose. The best part is, you can do this all from a mobile device app. What Payment Sources are Accepted by Stripe? The fact that there are multiple payment methods that appeal to differing customers around the world, for instance AliPay in China, Stripe appeals to those wanting to sell to customers abroad. Furthermore, while PayPal only accepts 25 different currencies, Stripe has the ability to accept 135 different currencies. Is Stripe Right for my Business? We’ve compiled both the good and bad about Stripe so you can easily make a decision if this payment gateway is the right choice for you. Want to accept PayPal payments online. Make a minimum of 80, 000 a year (Reduced fees apply for large companies). Sell crypto currencies online, sell adult content and services along with items considered of the gambling nature. Find out which business cannot use Stripe here. Wish to incorporate features that are only offered by PayPal. Operate within one of the 32 countries supported by Stripe. Make sure that the customers you wish to sell with can actually complete a transaction on your site! Operate outside of the 32 countries supported by Stripe. Do not wish to store customer’s sensitive information on their site. All payment information is stored on Stripe’s own sever meaning they are responsible for any breaches. Do not want to accept credit card payments on their site. Wish to integrate a payment gateway that does not display branding. Stripe is a plain Jane type of approach unlike PayPal, that has branding on each step of the checkout. Visa, MasterCard, American Express, JCB, Discover and Diner Club Cards. Don’t mind a delay in funds. All payments will hit your Stripe account within 2 days of the successful transaction. Do not have an SSL certificate. Find out more about which hosting providers offer free SSL here. Wish to offer Apple Pay and Android Pay. Our Stripe Payments Addon allows you to easily accept Apple and Android Pay. Want same day money in their account. PayPal tends to be faster at processing the money from the customer to the account. While the fees associated with Stripe are much similar to that of their competitors, the benefits for non-for-profit companies and businesses with large monthly sales make them stand out from the rest. If you have any notes you think we should add to this post, please let us know in the comments section below.